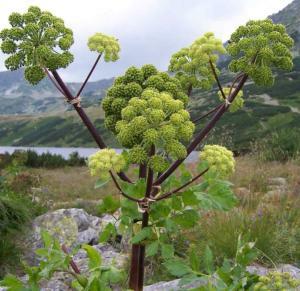 From the 10th century on, Angelica officinalis was cultivated as a vegetable and medicinal plant, nowadays it is much more likely to be grown as an ornamental in the perennial border or wildlife garden or meadow. 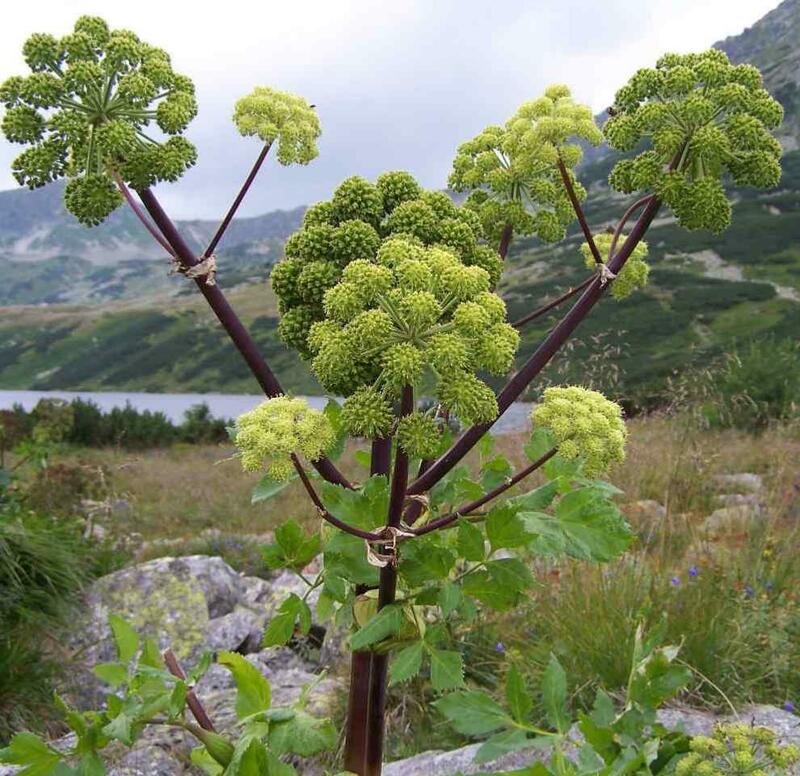 Now known as Angelica archangelica, and commonly known as garden angelica, wild celery, and Norwegian angelica, is a biennial plant from the Apiaceae or Umbellifer family, a subspecies of which is cultivated for its sweetly scented edible stems and roots. During its first year it grows only leaves,but, during its second year, its fluted stem can reach a height of 2.5 meters. (just over 8 feet) Its leaves comprise numerous small leaflets divided into three principal groups, each of which is again subdivided into three lesser groups. The edges of the leaflets are finely toothed or serrated. 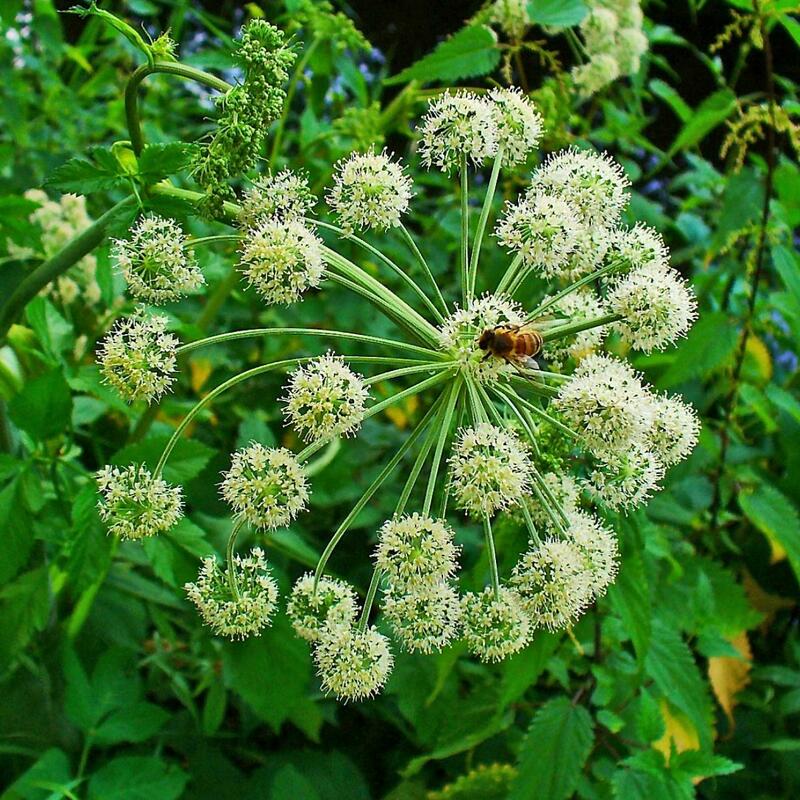 The flowers,which blossom in July, are small and numerous, yellowish or greenish, are grouped into large, globular umbels which bear pale yellow, oblong fruits. The flowers are much adored by pollinating insects of all kinds. See how many you can count? 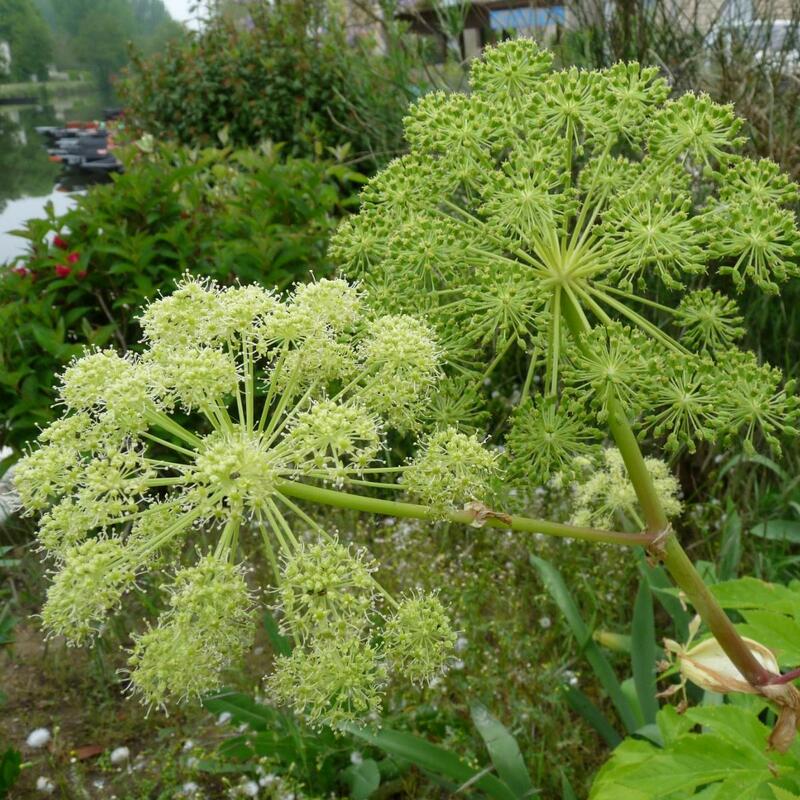 Angelica archangelica grows best in damp soil, but is happy in ordinary garden soils as long as they are not too free draining and dry. A very architectural plant, supplied ready to plant in 9cm pots.